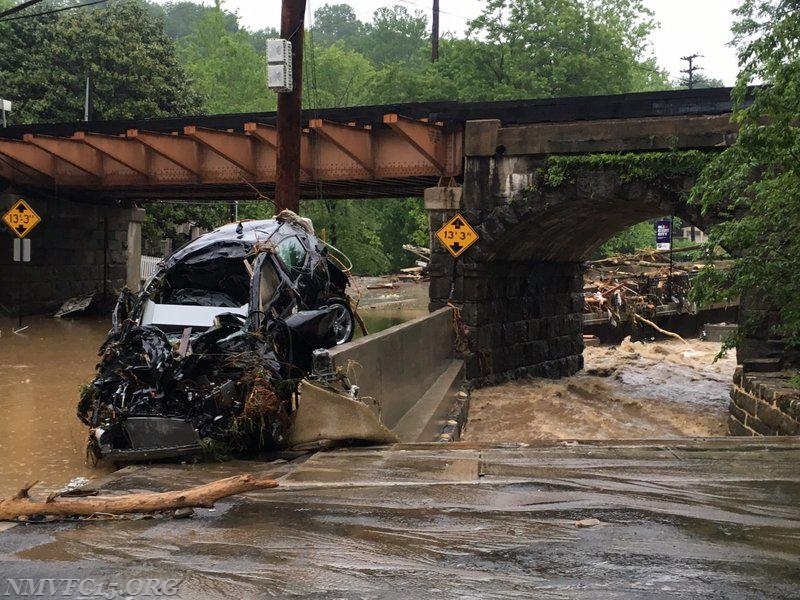 At approximately 1600 hours on Sunday May 27th, heavy rains pounded Howard County, and specifically the Ellicott City area. 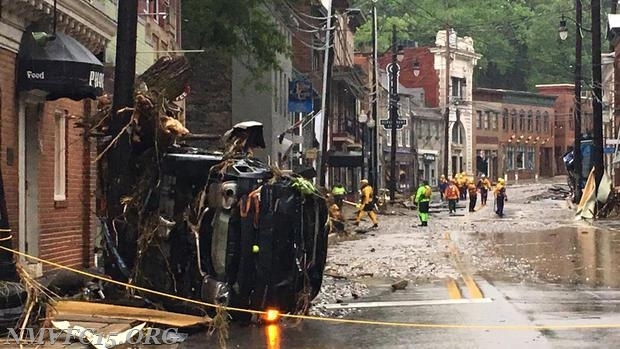 Water quickly inundated Main Street Ellicott City without warning, trapping numerous people in their homes, businesses, and automobiles. 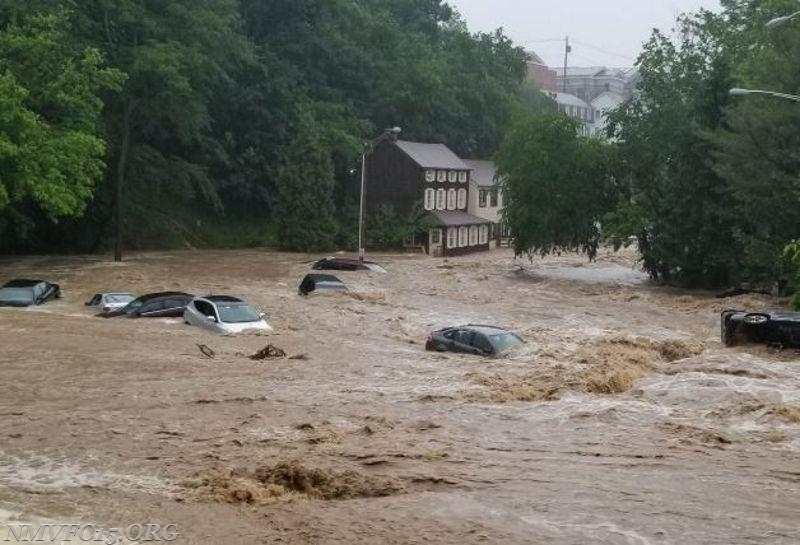 Howard County Fire received numerous calls about water rescues in the area, and also worked a building fire in Ellicott City at the same time. Boat 15 and Utility 15 (Lt Williamson) were requested to transfer to Howard County Station 2 at 1642 hours. 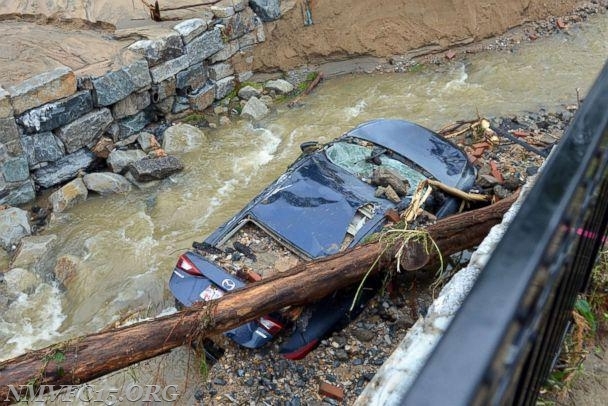 They were put to work immediately upon arrival in Ellicott City. 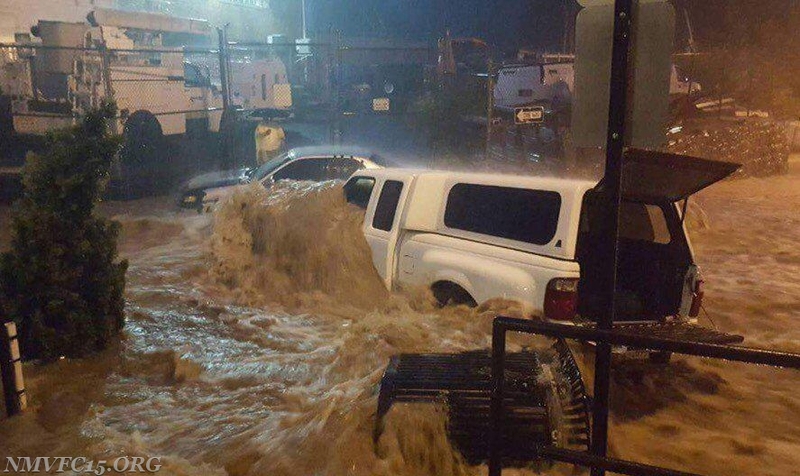 After the worst of the waters receded, crews searched building to building to find trapped or stranded occupants. 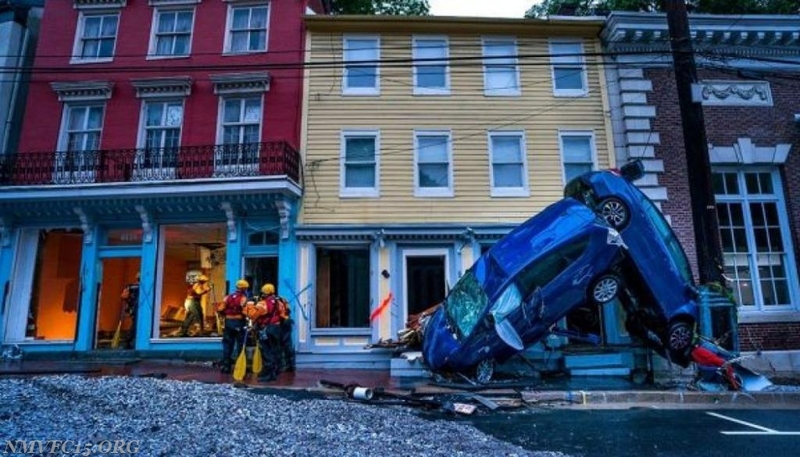 Boat 15's crew helped evacuate numerous persons from these buildings on Main Street. These search and rescue operations continued for hours. After being released from the scene, Boat 15 immediately responded to another water rescue call in the Elkridge area of Howard County. The crew arrived and performed a shallow water crossing to remove an occupant stranded on the roof of a vehicle. The crew then return to Station 1 in Elkridge, where they were graciously provided dinner by the Elkridge VFD. Thanks to their crews for being so welcoming to our exhausted crew.